Something exciting happened this week. 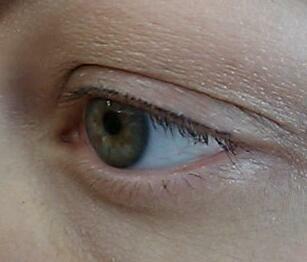 When I put on my mascara to take the "with mascara" pictures, I noticed a definite increase in length! I've read that some people start to notice a change within 3-4 weeks, and I was hoping I'd be one of the lucky ones who saw results that quickly! Now that I've been sick all week, I haven't bothered with makeup since, so I'm curious to see if I notice another increase the next time I do my eye makeup. 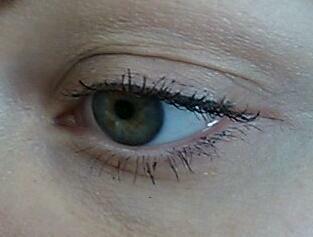 On that note, I really, really, really, REALLY want to go get my eyelashes dyed. 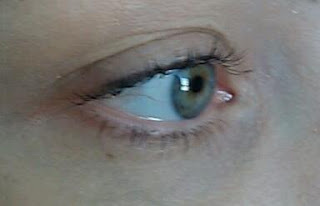 The tips of my eyelashes are so blond that you can't see them without mascara on, so even now my eyelashes look pretty short when they're naked. I hate that! 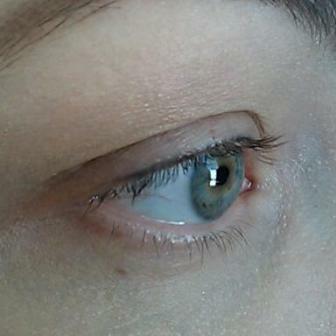 I wanted to wait to see if the Latisse would darken the hairs, but I'm feeling so impatient! So is it just me, or do ya'll see a difference, too?